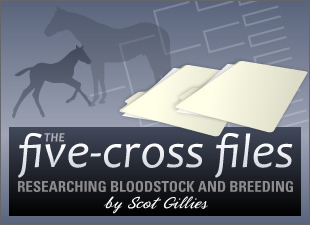 I enjoyed a nice phone chat late last week with Chris Blake of Ascot Stud in Ontario, Canada. I had called him to discuss the farm's unusual incentive plan for breeders, as part of my research for an upcoming issue of MarketWatch. He chatted with me for several minutes about the program, which actually pays the owners of "solid, hard-knocking mares" to be bred by the farm's Clifton Park (pedigree), a stallion entering stud service in 2009. Blake told me that the stallion's owner committed to "thinking outside the box" to introduce Clifton Park in his first year at stud. "We asked ourselves what can we do to maximize his strength and get the best book possible," Blake remembers. Ascot Stud researched "what the big markets are doing as far as incentives" and tried to emulate the innovations seen elsewhere. Blake liked the idea of offering cash rewards to breeders who patronized a stallion in his first year, and was committed to improving on that type of offering. The answer was: offer a "guaranteed incentive" to the owners of broodmares that would likely improve Clifton Park's success as a first-year sire. Instead of offering a cash payout to the breeder of the first Clifton Park foal to break his maiden or to win a stakes, the owners of all mares accepted to the stallion's book will receive a "reverse stud fee" of $1,000 to $5,000 (once the foal has been vet-certified as "stands and nurses"). Read about Ascot Stud's Breeders' Incentive Program for Clifton Park. Blake admits that the current economic climate has "put a dent into how well the program could've done," but he is certain that the net effect has been a larger and much higher-class book than Clifton Park might otherwise have attracted as a first-year stud in Ontario. The stallion's book is already halfway to the goals set by the farm and the stud's owner.